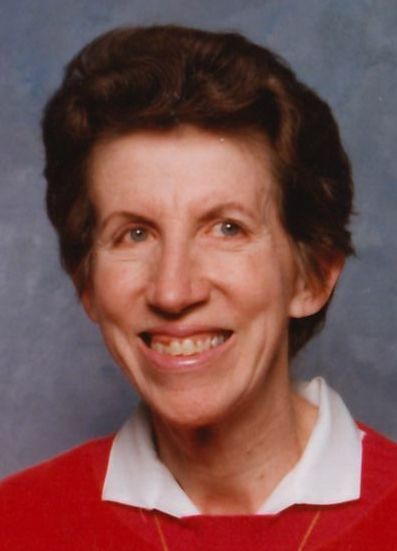 Ruth M. Ciske, 74, of Cedar Grove, formerly of Plymouth passed away on Sunday evening, November 11, 2018 at the Cedar Grove Gardens with her loving family beside her. Ruth was born on June 30, 1944 a daughter to the late William E. and Dora (Rosebrock) Miller. She attended Spring Farm School and graduated from Plymouth High School in 1962. On April 30, 1983 she was united in marriage to Lawrence Ciske at the Evangelical Free Church in Sheboygan. He preceded her in death on February 9, 2011. For several years Ruth had worked for the Walter and June Vollrath family in Sheboygan. She was also employed at Sheboygan Memorial Hospital in the laundry department for many years. For many years she had been employed with Wal-Mart first in Sheboygan and later in Plymouth, working in the fabrics and crafts department. Ruth is survived by her beloved stepchildren, Diane (Terry) Dineen of Grafton, Cyndi (Nicholas) Shanks of Deland, FL , Jennifer (Karl ) Hemerly of Wauwatosa, Patrick Ciske of Sheboygan Falls, and Michael (Jane) Ciske of Cedar Grove; her step grandchildren, Michael(Dagmara) Dineen, Scott (Dawn) Dineen, Lukas (Angie) Ciske, Samantha Jo Guyette, Nicholas, Leeah, Cory Price, Jeremiah and Levi Hemerly, Amber and Caitlyn Ciske and Genesis and Jonah Ciske; 11 step great-grandchildren; four brothers, Carl Miller of Indianapolis, IN, Edward Miller of Brownsville,TN, Earl Miller of Columbus, OH and Marlin (Joy) Miller of Sheboygan; a sister, Martha (Thomas) Mueller of Sheboygan Falls and her former step sons-in-law and step daughter-in-law, Charles Scheele, Kirby Price and Brandi Ciske. Ruth is further survived by many nieces, nephews, other relatives and friends. Along with her parents and husband she was preceded in death by a brother, Richard Miller, Two sister-in-laws Joan Miller and Angie Miller. A funeral service for Ruth will be held 10 AM, Saturday, November 17 at Wittkopp Funeral and Cremation Service with Pastor Paul Thyren of Grace Bible Church officiating. Burial will be in the Garden of Valor at Greenlawn Memorial Park. Family and friends may gather at Wittkopp Funeral and Cremation Service, 123 South St. Plymouth on Friday evening, November 16 from 4 Pm until 7 PM and at the time of service on Saturday. Memorials in Ruth’s name may be directed to Grace Bible Church or the Literacy Council Partners in Reading Program in Sheboygan. Ruth’s family would like to extend their deep appreciation and heartfelt thanks to Cedar Grove Gardens and Heartland Hospice.